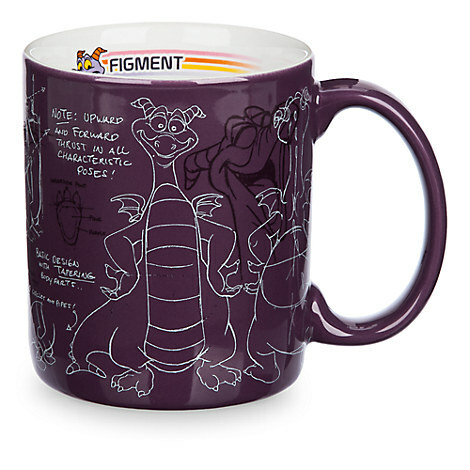 Win this cute Figment mug plus a $20 Starbucks Gift Card! This giveaway is open worldwide and the winner will be notified by email! Good luck everyone! I am not familiar with "figment" at all. I love Figment! I loved the original Journey into Imagination ride. It was my favorite when I was a kid. Yes, we love Figment! My son has a Figment plush and pillow! I have never heard of Figment before but this is a cute mug. Yes, I am a Figment fan. I've been a Figment fan since I was little. He was always my favorite. I love Figment! He's been one of my favorite Disney Park characters since I first visited Epcot. I'd like to see Figment and his attraction get an overhaul in the near future! I've honestly never heard of it before now but...I think this is adorable! I'm not, but this is a cute cup! I've never heard of it, but it sounds like something my kids would like. I have like Figment for a while. Yes, I am a Figment fan! I only wish I could have viewed him when his voice was done by legendary actor Billy Barty.